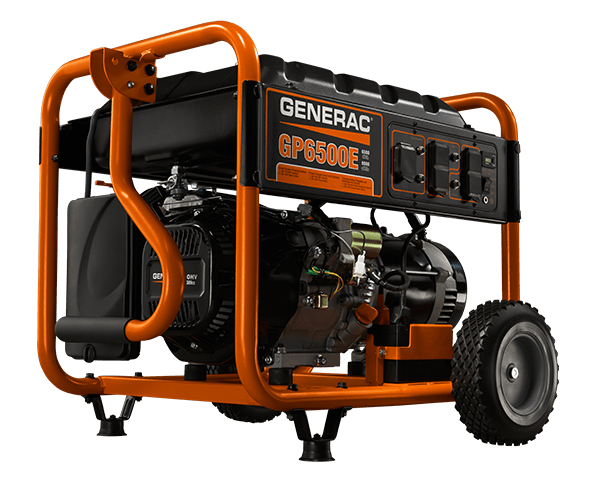 Whether it’s a backup generator powering the family home through an outage or portable generators powering tools at the job site, Generac meets the power needs of consumers and businesses alike. Stop in for more information today! Hardened 1-1/4″ steel tube cradle for added durability and strength. 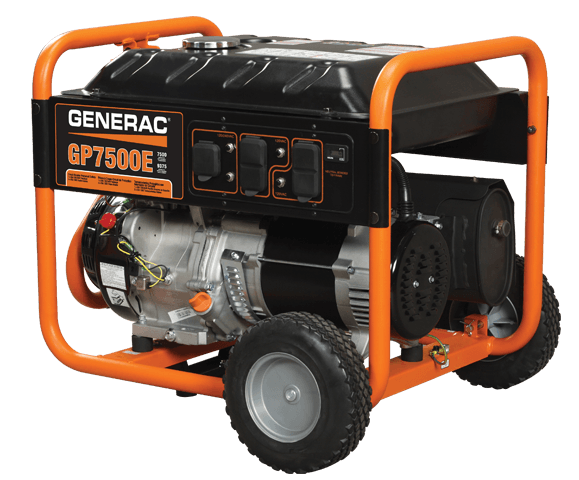 Choose the affordable, reliable GP7500E with electric start for recreational applications, job sites and emergency backup power. 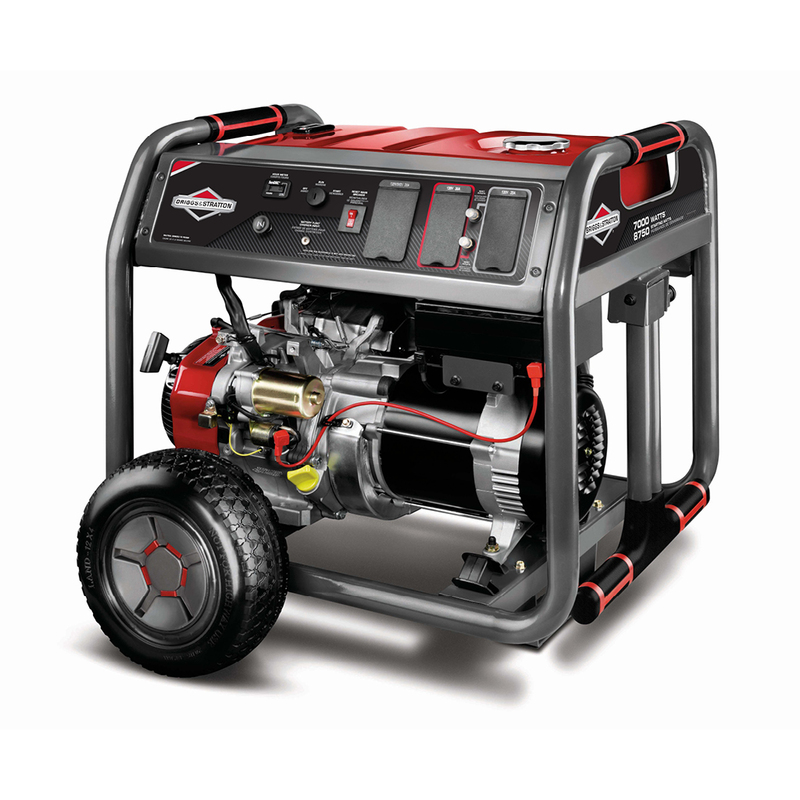 Briggs & Stratton Engine (420cc) for long life, high performance, and great fuel efficiency when using your portable generator. 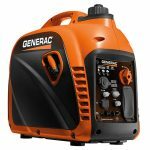 Key Electric Start and Remote Choke for quick and easy starting right from the control panel. Easy, All-Terrain Maneuverability featuring large 12” Never Go Flat wheels and a fold-up handle. 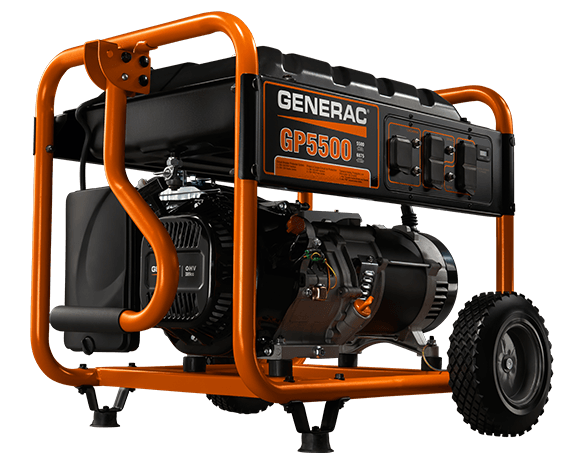 Long 9 Hour Run Time (at 50% Load) A metal 7 gallon fuel tank for more durability and less refueling. Equipped with InfoHub™ Portable Power, it lets you monitor vital information from the comfort of your home or office. 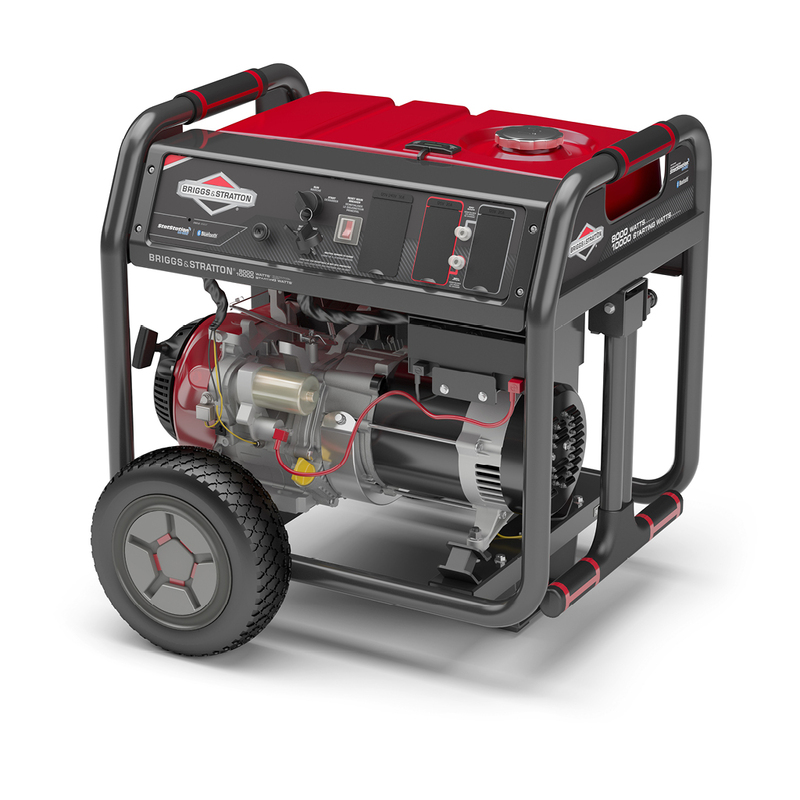 Bluetooth® Connectivity Connect with your smartphone to monitor power usage, run time, fuel level and more in real time, from the comfort of your home. 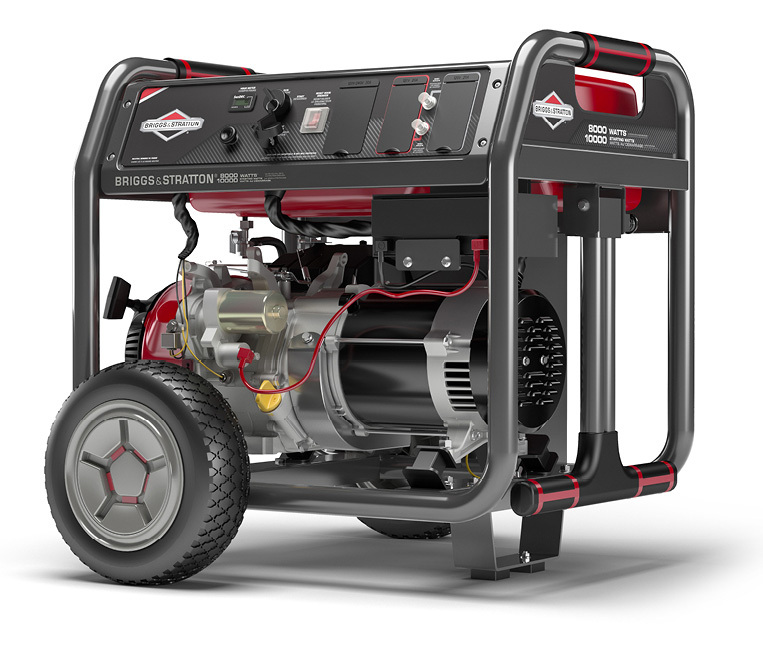 Free, easy-to-use InfoHub Portable Power app. Multi-Featured Control Panel With Circuit Breaker Protection.